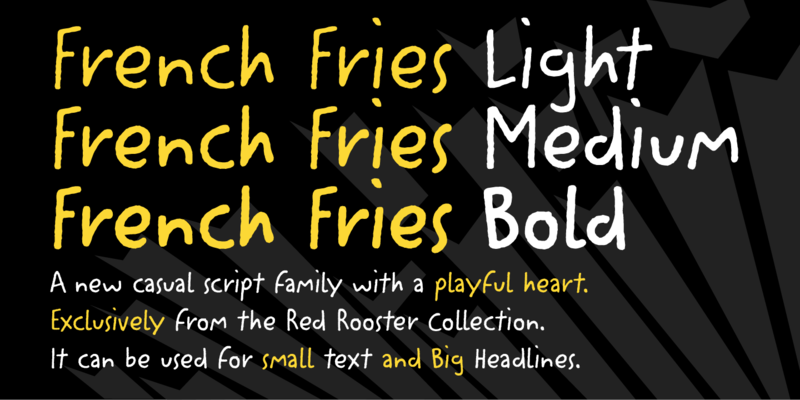 French Fries is a three-weight casual script font family. 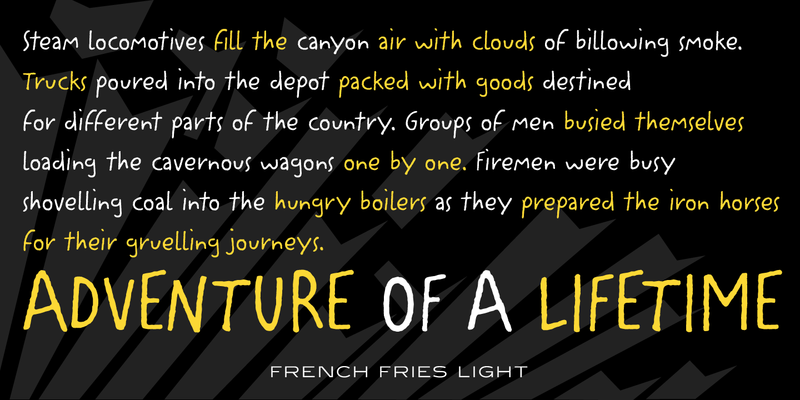 It was created and produced by Steve Jackaman (ITF) in 2017. 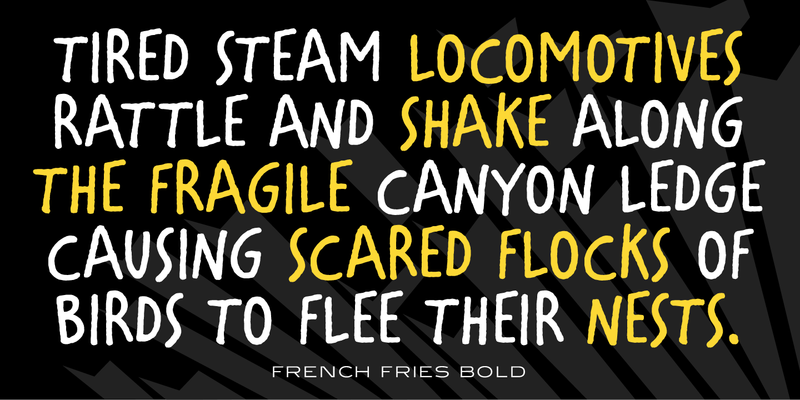 French Fries has a casual, lighthearted, playful, hand-lettered look, and is food for the eyes at any size. 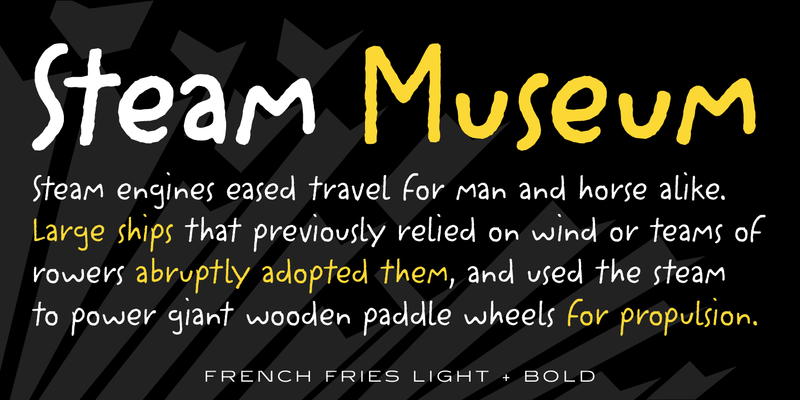 The family is surprisingly versatile, and might be right at home on menus, packaging, and early education materials. 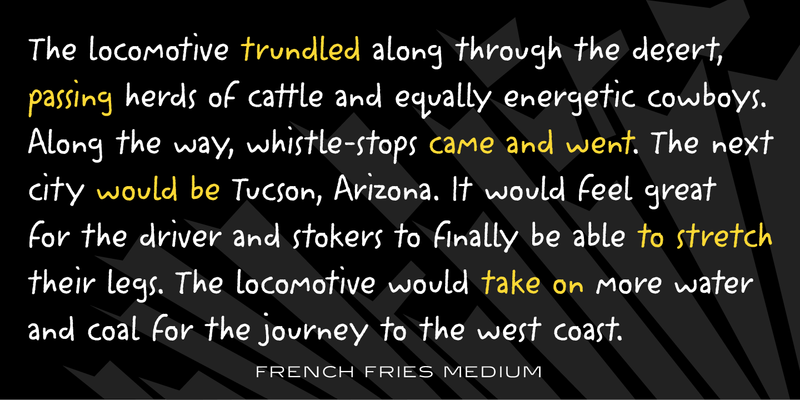 French Fries is a trademark of International TypeFounders, Inc.